IMS is experienced in providing solutions for corporate and financial services.  IMS is a licensed corporate services provider. We offer complete services in the formation and administration of corporate structures, foundations and trusts. We also handle licensing processes and projects with the regulators where this is required under Maltese legislation. Additionally, we have extensive experience in performing complete day-to-day back-office functions in full-service accounting, treasury and payroll functions. Through our aviation team at IMS, we are able to configure and provide bespoke aviation transaction services which our clients may require. Please contact us should you require further information and we would be happy to forward to you a fact sheet, without obligation.